In just about two weeks we will be exchanging gifts because December 25th it’s Christmas day, and after the gift giving and Christmas..
Make sure you make a reservation to join us on Christmas Eve. We will be fully open with our normal hours! 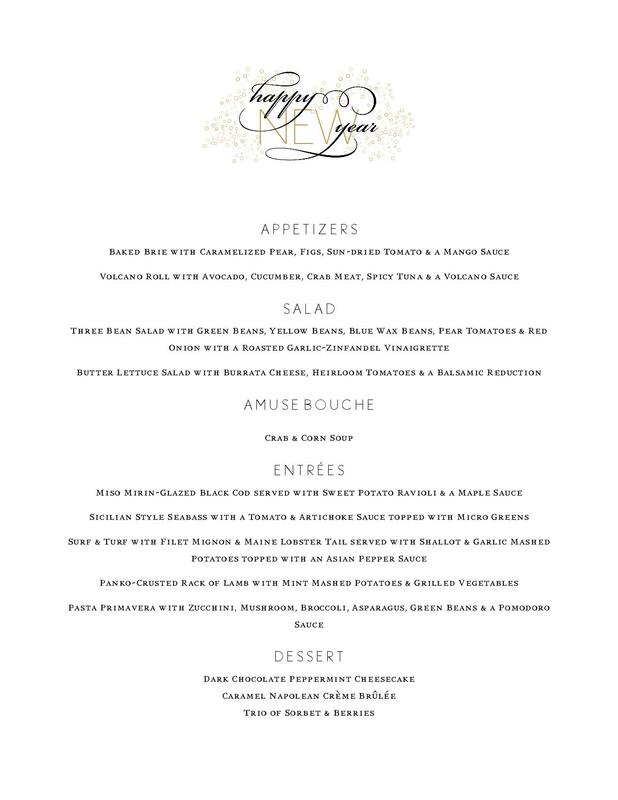 Reserve your holiday party (preset menus, lunch, brunch, dinner and cocktail..
Join us for New Years Eve at Zin Bistro Americana in Westlake, California. 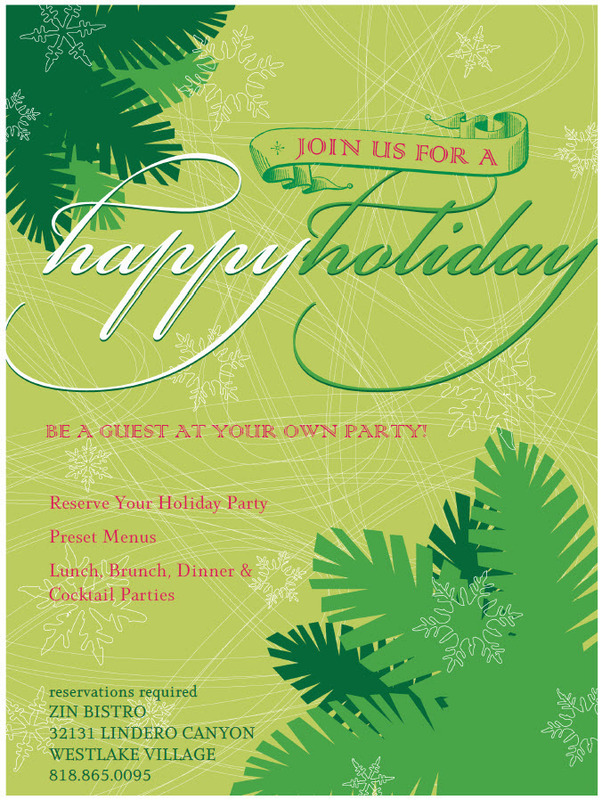 We still have seating times available for 9:00, 9:15 and 9:30..
We still have spots open for holiday parties! 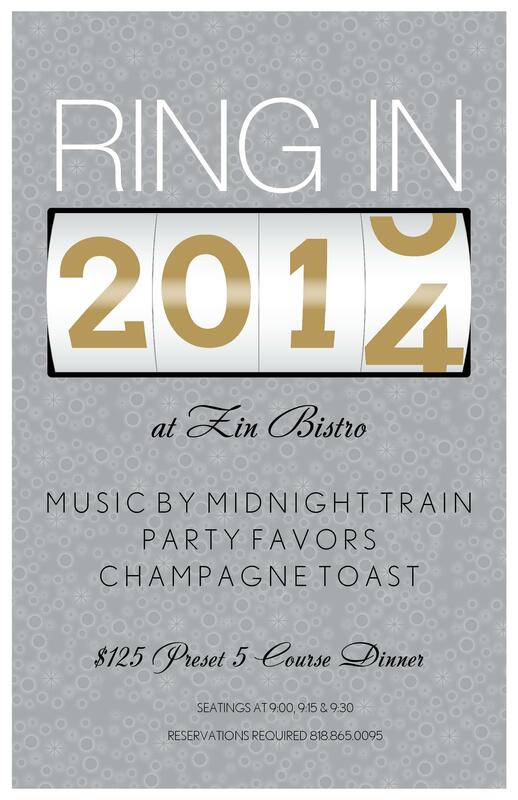 Plan your holiday gathering with some help from Zin Bistro Americana. Serving the Westlake Village community of CA, Zin is located along..
Come see what our patrons rave about. Westlake Village dining at its best. Come Join Us for Our Customer Appreciation Party! If you are looking for a great party for the holidays, why not join us here at Zin Bistro Americana for our Customer Appreciation Party?.. There are many ways for you to give back during the holidays. Giving back not only helps others, it leaves you with a wonderful feeling..